(Dwinell, Kim) Kim Dwinell is an illustrator/animator/graphic novelist who also teaches classes at California State University Long Beach. Dwinell likes stories more than the beach. Almost. Maybe it's a tie. 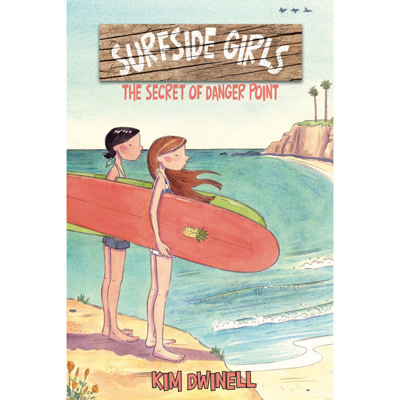 She first had a career as a beach lifeguard, and then a career in animation (The Swan Princess, Cats Don't Dance, Hercules, Mulan and Tarzan) and now combines her two loves in her first graphic novel, Surfside Girls: The Secret of Danger Point (Top Shelf Productions). 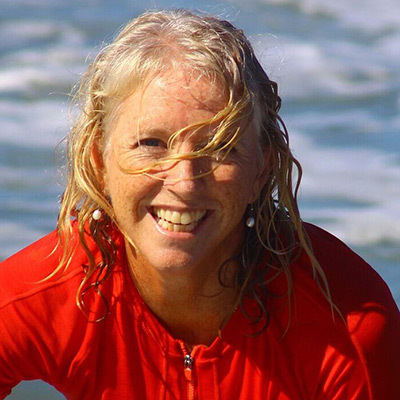 Things are getting weird in Surfside for Samantha. After swimming through a secret underwater cave, Sam starts to see things. Like ghosts. And pirates. And maybe something even scarier! Can she and her friend Jade get to the bottom of this mystery in time to save their town?